We all know the basics of what goes into determining property value: square footage, number of beds and baths, location, schools, local market, and so on. But that’s not all there is to it – because the real value of your property is determined more by what buyers will actually pay than by what the appraiser says. 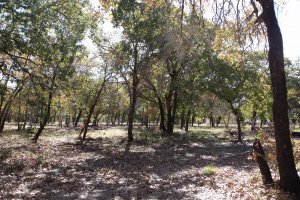 And there are a number of not-so-obvious and unexpected things that affect your property value in Floresville. Following are a few of them, and they also tell us a lot about human nature. Trees, especially mature trees, nearly always increase property values. According to one real estate study, houses with trees and those in tree-lined neighborhoods brought a 10% to 15% higher sale price than similar houses without trees or in neighborhoods with few trees. Almost everyone loves trees. I have had clients that did not like a lot of trees but they still wanted some trees. Also some clients will not even look at a home that has no trees. Yes, you know you need to paint the walls in neutral tones before you sell, but don’t stop there. Go on and install crown molding in rooms that don’t have it. Currently, the trend in what buyers want is crown molding and high ceilings. Even if you can’t give them high ceilings, you can at least give them the molding. It adds that extra touch that makes a room stand out. This may not be one of the fully unexpected things that affect your property value in Floresville, but its impact can be a little surprising, especially where houses are close together and neighbors live in very close proximity. It’s just natural that people want to live near other people who are like them in habits, tastes, and personalities, so if the neighbors seem strange or outlandish, it will lower your property value in the eyes of buyers. In one instance, for example, the homeowner had a difficult time selling his home because the next-door neighbor had erected a huge Michael Jackson memorial in his front yard. You might get that neighbor who likes to compete in “The Great Christmas light Fight” so the traffic becomes horrible around Christmas, not to mention the month of building noise. Now this one certainly has to be one of the unexpected things that affect our property value. Yes, access to important and necessary amenities is important for property value, but these are not exactly what we’d call “important” or “necessary.” Still, if you have a Starbucks or a Trader Joe’s or a Whole Foods within a mile of your house, your property value is likely to be higher than it would be otherwise. In fact, in South Florida, properties near a Trader Joe’s have increased in value 40% over the purchase price. Now this is not as big a factor in our area as we have a more country living style so nothing is in walking distance and the big names like Trader Joe’s is not here yet. Now this it the thing that affects the Floresville area the most due to our country feel. It can also affect people in San Antonio also as a home backing onto a greenbelt or having a nice view is much desired. 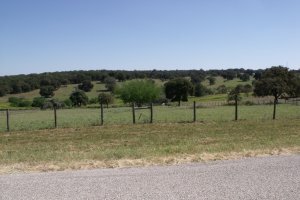 In Wilson County where Floresville and La Vernia are located the homes sitting on at least one acre means you do not have a lot of contact or noise from your neighbors unless you desire it. Also a lot of the subdivisions will have green spaces or maybe pastures behind them. Deer and wildlife are plentiful out here and the views in the early morning can be soothing. In most areas, people prefer the street they live on to have a name and not just a street number, and so such properties are worth more. Houses located on Elm Street bring less per square foot than houses located on Magnolia Boulevard. With this one, we move from unexpected things that affect your property value in Floresville to truly bizarre things that can affect property value. If your house number is 13 or ends in 13, you will probably have to price slightly lower than your neighbor across the way whose number is 12. Many buyers can’t get past the superstitious association of 13 with bad luck. And then there are those people who subscribe to the theory of house numerology, which holds that certain number combinations indicate good investments, and others do not. So there you go the unexpected things that affect your property value in Floresville or any other city. Some sound pretty bizarre, but . . . well, people are like that. With so many factors – both the standard and the unexpected – playing into what you can actually get when you sell your house, you should probably lean on the expertise of a qualified real estate professional. We’d be glad to help. Call us at (210) 216-7722 or send us a message today!